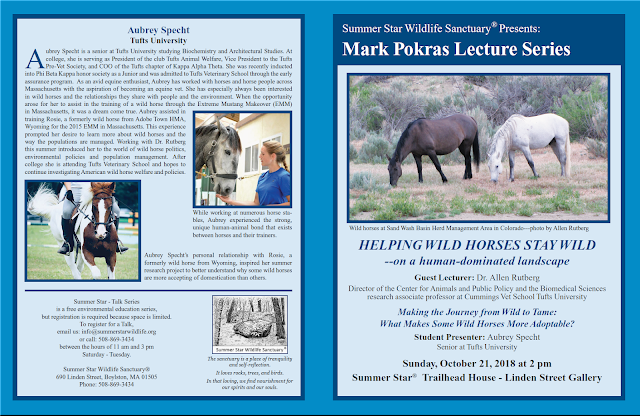 (MA) On October 21st, Sunday, TUFTS Vet School Professor Dr. Allen Rutberg will give a talk at Summer Star. 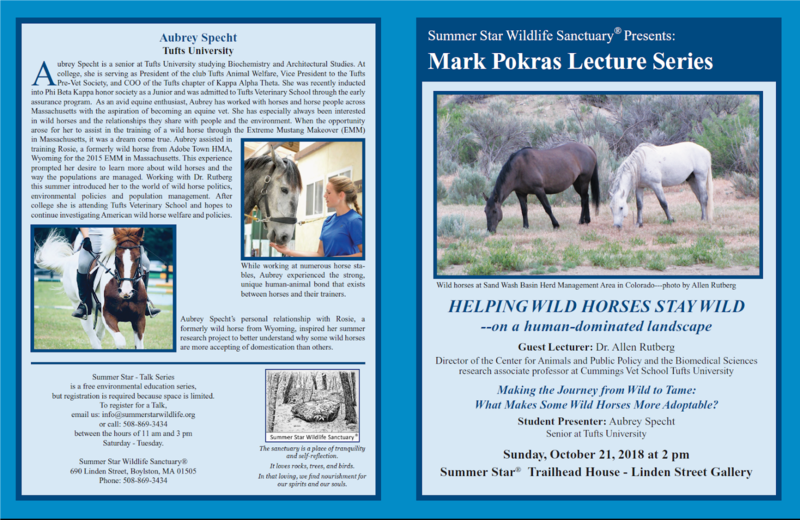 Attendees will hear about his lifelong passion for wild horses and how he is able to help them. He will also bring his intern Vet School graduate student Aubrey Specht to talk about her firsthand experience with wild horses.